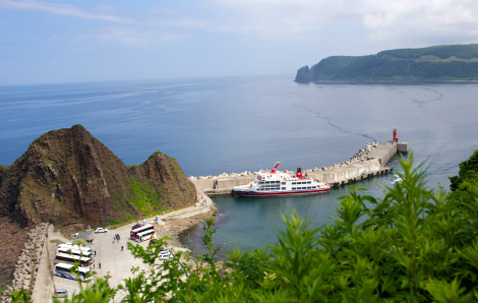 As you travel along the trail, running from world natural heritage site Shiretoko and continuing all along the shore of Okhotsk, you'll not only get a breathtaking view of the pure blue sea and sky, but also the fruits of the sea harvested that season - the seafood. The same nutrients that allow drift ice to form in the sea are also plenty nutritious for your body. 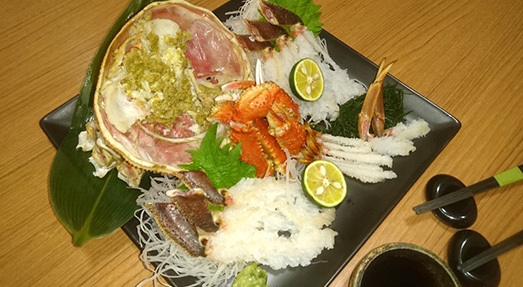 In Monbetsu and Abashiri, get a taste for delicious seafood cooked as only local experts can. 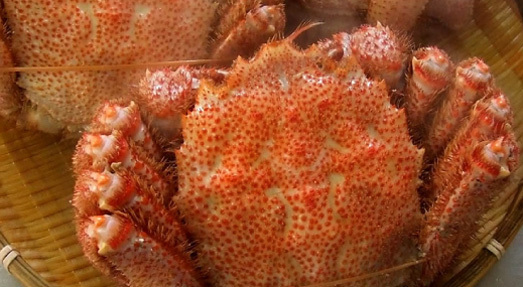 Fill your stomach with a variety of crabs and tender scallops, as well as deliciously oily broadbanded thornyheads, whether you're enjoying them a la carte, as sushi, or in seafood bowl. As you move further inland, you'll stumble across plenty of dry fields, dairy farms, and livestock. 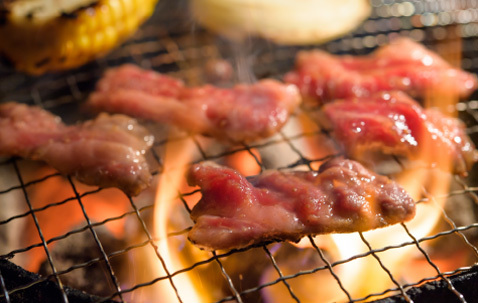 In particular, Kitami is well known for its hearty food - Japanese barbecue, yakiniku! Popular restaurants with local delicacies you'll want to try! 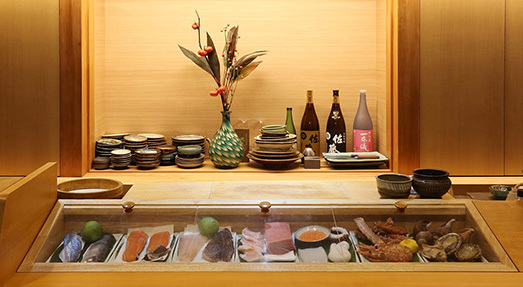 If you want to try the seafood in Monbetsu, your first stop should be Kaisen Yushoku Rin. Focused on using the fresh ingredients splashing around the shore, this restaurant also uses locally produced products from the fields. Enjoy a carefully cooked meal with ingredients harvested by human hands. A water tank in the store houses plenty of fresh food, including live crabs among other things. Snow crab price varies by their size; after ordering, you can also be taught the best way to eat them. Whether you want half sushi and half grilled, or something completely different... they'll cook what you want, so order it as you like. A cozy Japanese pub with the fresh ingredients and creative cooking you could only find in the port town Abashiri. Their specialty dish is the Full Fried Tomato. Popular not only because of their taste, but their incredible service. We highly recommend making a reservation beforehand. Make use of all your senses as you experience the seasonal tastes of Hokkaido. Without a frozen ingredient in sight, take pleasure in tasting foods created from combining fresh, carefully selected, local, seasonal produce. Not only the ingredients, but every detail down to the cutlery and tableware has been carefully chosen by the owner. Enjoy with your eyes and feel the owner's creativity in this original, unique establishment. A restaurant inside the Okhotsk Ryuhyo Museum, on top of Mt. Tento. Using local ingredients, particularly Abashiri's fresh seafood, this restaurant welcomes you with a casual atmosphere and a menu of Western style food. The fantastic view of the outside will also provide a feast for your eyes. Also great to try is the drift ice ice cream sold in the same building. "Umiake" (sea + opening) refers to the phenomenon where the drift ice blanketing the Sea of Okhotsk drifts towards the open sea during spring. For the fishermen who are forced to hang up their fishing rods when the drift ice forms, the opening of the sea is a special, joyous word, telling them that they can start fishing again. 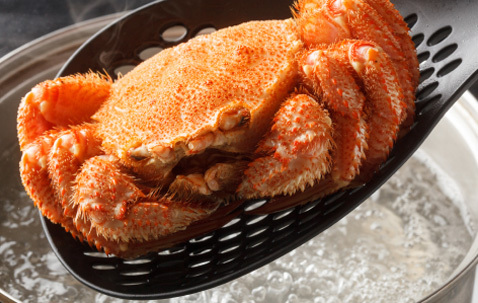 Whether you're taking a bite from a horsehair crab, blue king crab, or snow crab, you'll know it's an umiake crab by the taste alone. These sea creatures take in plenty of nutrients underneath the drift ice, giving them extra benefits to your health as well. 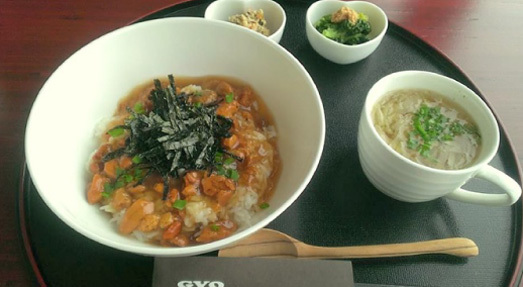 In an average year, the recommended time to eat umiake dishes is from mid-March to late April. This warm locale leaves you satisfied no matter what season it is for the Sea of Okhotsk, and as such has earned trust from local customers. 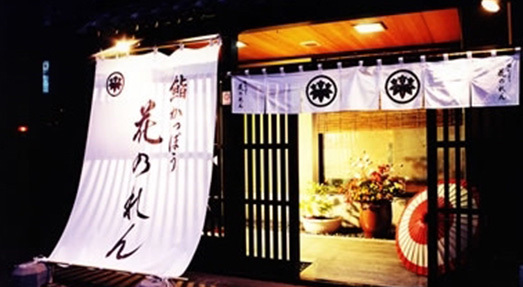 They offer a variety of crab courses, and to top it all off, they will cook an umiake crab according to your preference. This is the place for stuffing your face with boiled umiake crab. While not a formal restaurant, there is an eating area in the middle of the fishermen's shops. Reservations available. 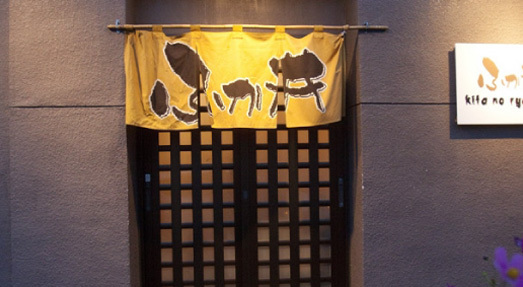 Kitami is famous throughout Hokkaido for being the "yakiniku city." 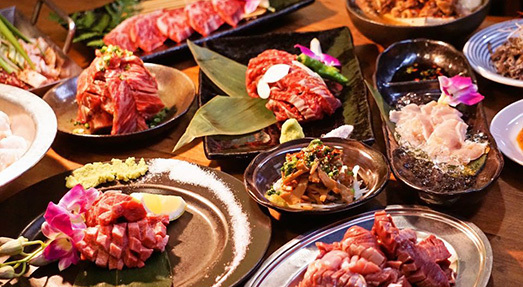 Of all cities in Hokkaido, it has the highest ratio of yakiniku restaurants to people. They even have the Kitami Denkan no Yakiniku Matsuri (Kitami Freezing Cold Barbecue Festival), where you can enjoy eating your yakiniku outdoors in mid-winter temperatures of -20 degrees Celsius. 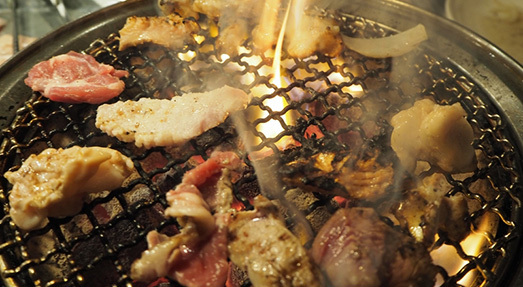 While they offer various types of meat, Kitami's yakiniku is most known for its fresh offal. Feel free to try the unique tastes of every shop! Kitami is also Japan's number one producer of onions, an ingredient you can't leave out of yakiniku. We recommend cooking your onion, releasing the sweetness, and chowing it down with your yakiniku. 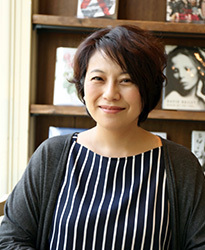 Every day, this restaurant offers dishes carefully prepared using fresh, Hokkaido-produced offal. Indulge in the delicious taste of pork, chicken, mutton, and beef carefully cooked over a white charcoal fire. Get your fill of a juicy flavor you won't find anywhere else. 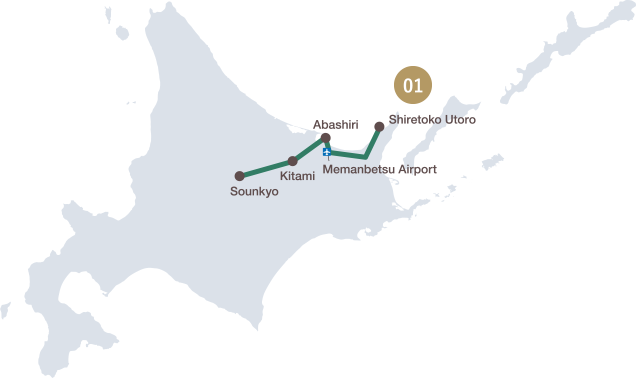 A 5-6 minute walk away from Kitami Station. This reputable yakiniku shop used to house Tekkosen Kaikan, and still manages to keep some of the former public bathhouse's atmosphere. It enjoys a lot of love from local patrons. Their specialty is their salted offal, which they offer a variety of, so come in and try some fresh, juicy yakiniku for a reasonable price. As a world natural heritage site, Shiretoko is famous for its mountains and lakes. In winter, however, the drift ice blanketed the Sea of Okhotsk also creates a picturesque view that can be enjoyed from a variety of shops. Enjoy both the beauty and the food that the sea and mountains have to offer and eat some food with a view. Shiretoko Kaigan Shokudo, built along the coastline heading towards Shiretoko gorge, has many charms, but its most breathtaking feature is its view. 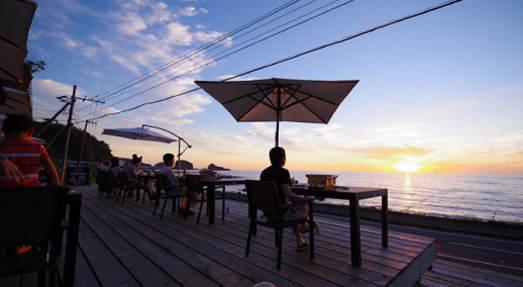 Whether sitting inside the restaurant or outside on the wood deck, guests will see a sweeping view of the serene Sea of Okhotsk. Their menu is varied, offering seafood robatayaki, seafood bowls, and even bear meat bowls. The restaurant is open during February, as well as from late April to mid-October. Managed by a sea urchin fishing married couple. The cafe bar is only open during the sea urchin fishing off season from September to March. 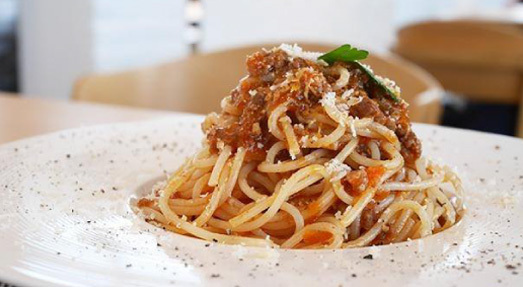 Their sea urchin tomato cream pasta is a must-eat. During winter, drift ice floats right past the shop window. A gelato shop in the Yobito district at the foot of Mt. Tento, a mountain recognized as a Place of Scenic Beauty by the Japanese government. It came into the spotlight after winning a gelato contest in Italy in October 2017. 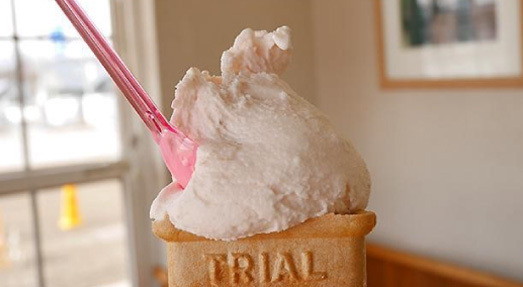 Experience genuine gelato made from Abashiri milk and local fruits. A cafe surrounded by nature on the outskirts of Kitami. Their lunches, herbal teas, and sweets are all made using the 60 species of vegetables and herbs grown in a field adjacent to the cafe. 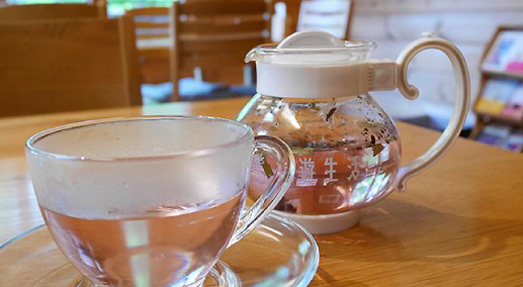 One popular activity is to participate in herbal tea making (separate cost, booking required).